Turkey backpacking guide will assist travellers along their journey to this enchanting country. Turkey happens to be one of those places which will leave an everlasting impression on you. It will ensure that you visit it over and over again. Each time you visit, a brand new side of this country will be discovered. In my current blog on Turkey backpacking guide, I will share my travel experience with you. As a traveller you will be made aware of Turkey as a destination, the reasons for visiting it, travel-friendly tips and most of all how to save money while you explore this beautiful nation. I hope that fellow travellers will find my piece useful and will find it convenient to visit Turkey on a budget. 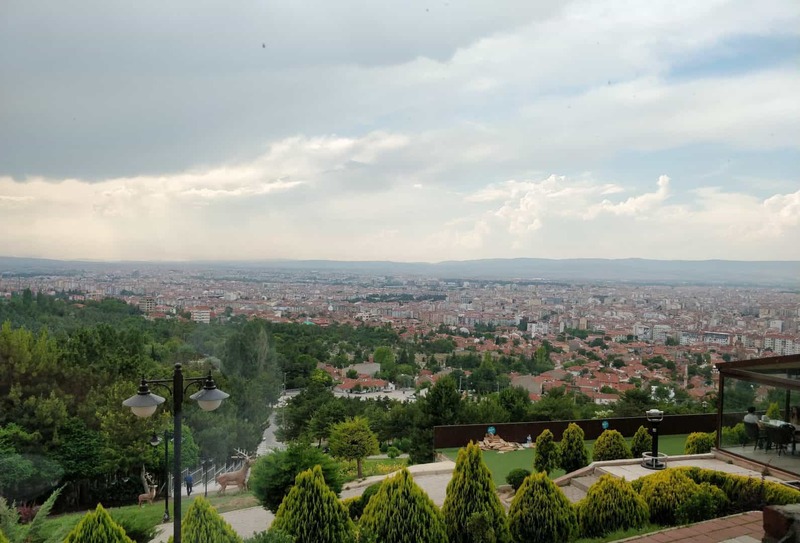 Before I proceed forward, I’d like to mention that my journey to Turkey began with one basic question – “Why Turkey ?” I asked myself this question several times until I finally explored this beautiful country that bewitches me till date. Turkey is not only a place full of youthful energy but also treasures its ancient values and traditions. From ancient temples to mosques to museums to cave hotels to bazaars to old roman amphitheatres and Turkish hammams, every corner of this country holds a treasure of its own that is surely going to captivate you. Being a part of two continents (Europe and Asia), it has one the most diverse cultures and exceptionally breathtaking sights to offer that one could possibly explore within a single country. To understand the country better, here’s a quick overview attached for your reference. Varying climate according to the areas. Istanbul, Eskisehir, Cappadocia, Antalya, Ephesus, Denizli, Ankara, Bodrum, Fethiye. A huge flavoursome variety to choose from for both vegetarians and non-vegetarians. Safe for solo travellers, family vacation, all girls’ trip, home stays, honeymoon, friends’ trip. It’s very common to have doubts regarding safety and other things while travelling far away from your home town to a different country altogether. 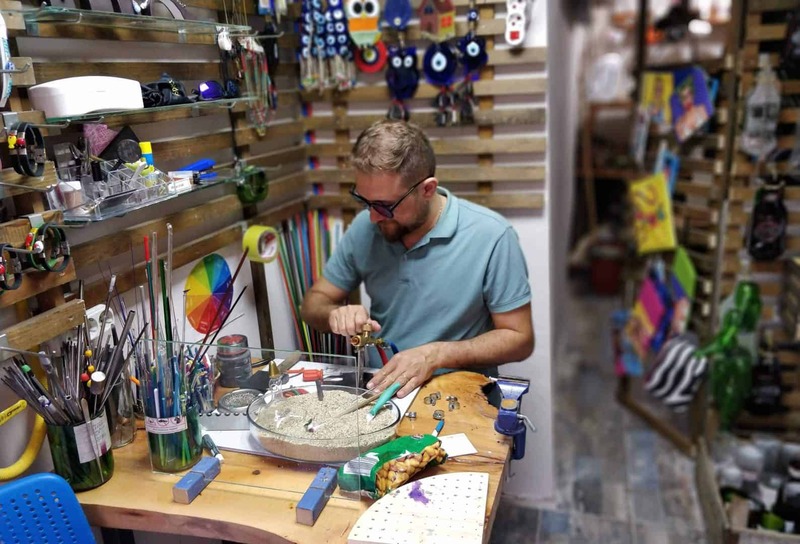 There are and there have been a lot of misconceptions and strange inhibitions associated with travelling to Turkey in the minds of people all around the world. It’s only when we visit and experience the country by our own selves that we realize how different it actually is than how we in the outside world perceive it. One of the first myths that most people have about Turkey is that its a volatile nation. Hence, it is assumed that travelers will not be safe here. The second thing that people feel about the place is that being an Islamist nation, it is not travel friendly. However, both these things are untrue. Turkey is extremely travel-friendly as well as safe. In fact, there is so much to explore in this transcontinental nation. 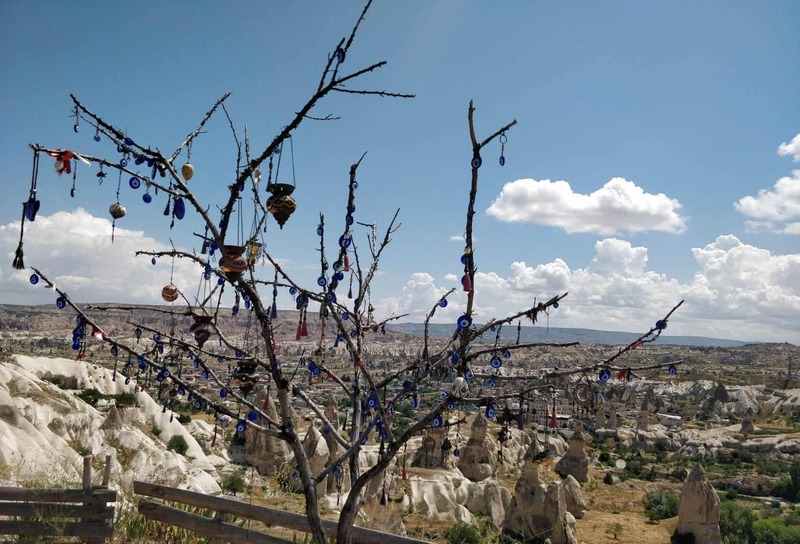 In the current Turkey backpacking guide, it will be my endeavour to bust all the myths about Turkey and will answer the questions that are mostly posed by individuals who are visiting this nation for the first time. 1. Is it safe to travel to Turkey after the Istanbul airport attacks? Is Turkey safe to travel as it is very near to Iraq, Iran, and Syria? Yes, it is absolutely safe to travel here. In current times, the world at large has gone unsafe and surely individual incidents can occur. However, with my personal experience of staying in Turkey for a span of 6 whole long weeks, I can strongly say that it’s one of the safest countries to travel to and has a low crime rate too. 2. Is Turkey safe for solo women travellers? It’s safer than you think. 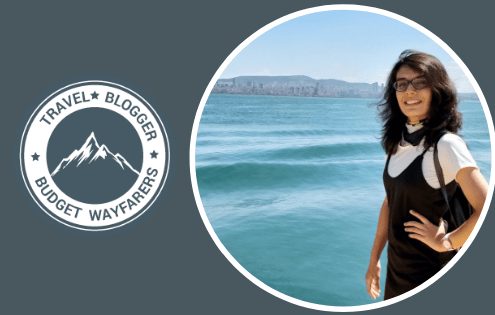 I am an 18-year-old girl and I travelled the whole country all by myself without any hassle. I have never felt this safe in my life ever before. Overnight journeys in buses, taxis and metros were so safe that I could easily doze off to sleep with my luggage around. There’s no need to worry about safety issues relating to females travelling alone to Turkey at all. In fact, people in Turkey would address you as “abla” meaning elder sister. 3. What is the dress code for women in Turkey? This varies according to the place you are visiting. 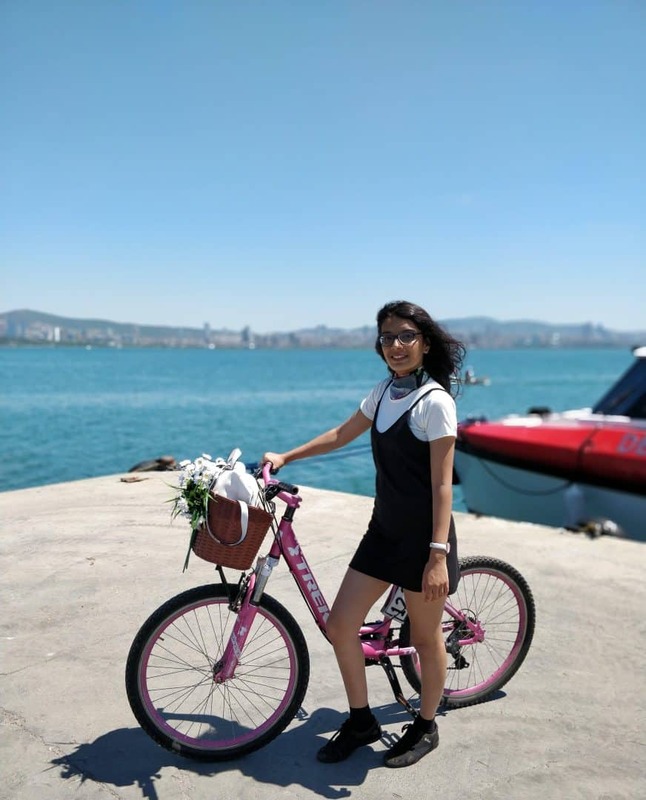 During summers you can find women wearing bikinis near the Mediterranean coasts while in Istanbul city women’s clothing standards are pretty European. However, you should ensure that your cleavage, knees, shoulders, midriff and head are covered while entering a mosque in order to pay respect to the Turkish culture and Islamic religion. 4. Which continent does Turkey come under? Europe or Asia? This question leaves most people second-guessing themselves. Those who guessed it was in Europe are correct. Also, those who guessed Asia as the answer are right because the country Turkey lies in 2 continents. 95% of the country lies in Asia and the remaining 5% towards in Europe. Hence like Russia, Turkey is also in Eurasia. The city of Istanbul is the bridge between connecting the 2 continents. 5. What is the major religion in Turkey? 99% of Turkey’s population consists of Muslims. However, they are not as rigid and orthodox as the world outside assumes. In larger cities, women feel free to wear whatever they want but in the smaller towns, they tend to be a little more religious and dress more conservatively, although all women are necessarily not obligated to wear a burka. Also, turkey just like U.A.E. is one of the safest Muslim countries to visit. Turkey is not an extremely conservative country and has a lot of liberal people in and around that you will confront time and again all throughout your journey. 6. Do Turks speak Arabic? One of the assumptions people have about Turkish people is that they speak and understand Arabic extremely well. The official language spoken in Turkey is Turkish. Surprisingly you might find some words in Arabic, Urdu, and Hindi to be similar to that used in Turkish and to your bewilderment they would mean the same in Turkish too. But hardly any few shopkeepers and waiters in Istanbul would know a little bit of Arabic. 7. Can vegetarians survive in Turkey? Turkey is well known and quite famous for its kebabs due to which it’s presumed that the Turks have a meat-centric diet. There are plenty of vegetarian options available all over Turkey. Being a vegetarian and surviving in Turkey for 6 long weeks wasn’t a problem for me at all. Thanks to the amazing variety of vegetarian dishes they have and that too with numerous options. You don’t have to worry about vegetarian food in Turkey at all. 8. Is drinking alcohol legally in Turkey? Drinking alcohol is completely legal in Turkey. You will find pubs and clubs everywhere in and around Turkey. The legal age to consume alcohol in Turkey is 18+, however, alcohol advertising on TV is banned. 9. Is Turkey a Middle Eastern country? Turkey happens to be near to the middle east but its situated party on the continent of Europe and predominantly on the Asian continent. Hence it isn’t a middle eastern country at all. Like the middle eastern population, Turks don’t ride camels or eat falafels. However one is likely to find camels and food joints offering middle eastern food like falafel these days (especially in Istanbul). 10. Do Turkish people speak English fluently? This is the only disappointing thing about Turkey. They really don’t know how to converse in English. Even at tourist places like Istanbul and Cappadocia, you will find just tour guides and the hotel & airport staff speaking English fluently. The people at large don’t speak. The shopkeepers have learnt a few phrases and words in English that is enough to attract tourists through their applaudable marketing skills. Although the people in Turkey are quite helpful and will somehow convey you the message (and it won’t really be much of a problem for you to survive in Turkey, nevertheless it is advisable to learn few basic Turkish phrases and words before backpacking for Turkey. Turkish people are absolutely sociable beings you will ever meet. Turkish culture is extremely amicable. So, if you are of reserve nature, turkey is exactly the place where you will make new friends. Turkish people love their country like anything. You might be surprised seeing their national flag almost everywhere (balcony, terrace, doors and even bathrooms. So literally everywhere. Therefore make sure you never happen to insult their patriotism. Usually, Turkish people greet each other by kissing on both cheeks. However, handshakes can always be your saviour if you feel uncomfortable in doing so. Traditional, as well as modern lifestyle, coexists in Turkey. People in the urban areas have adopted the western way of dressing up, including the women. However, it is advised to dress modestly while visiting any religious places in order to respect their culture. In case you aren’t appropriately dressed, clothes are provided on rent or free of cost right outside the religious places). Also, females are required to carry a scarf to cover their head while visiting the mosques. Turkish people love inviting strangers to their house. Remember that if you happen to be their guest, always keep your shoes outside. Ask for or carry another pair of slippers to enter the house. Tea is an indispensable part of the lives of Turkish people. Don’t be surprised to find them sipping tea from tulip-shaped glasses 20 times a day. Tea is a ritual more than a habit in Turkey. Don’t forget to ask for a cup for Turkish chai (tea) if you happen to eat at any restaurant or café. It is absolutely free of cost. Don’t be terrified if you happen to come across a squat toilet or a traditional Turkish toilet. It’s quite common to find them almost everywhere in Turkey. Not that you won’t find any western commodes in the country, however, places that aren’t tourist spots, mostly consist of toilets where you have to squat. Try not to rely completely on your travel cards. It’s preferable to carry some Turkish liras in your wallet. It is advisable to carry denominations of Dollars and Euros only as it’s easily convertible. Don’t forget to carry your toiletries and an extra pair of undergarments for the Turkish Hamam (Turkish bath) experience. A Turkish bath experience is incomplete without the scrub and massage. Some websites like Wikipedia are blocked in Turkey. So, don’t get perplexed in case you don’t have the access to them. Being a travel hub, Turkey still is yet to catch up with English as a language. Therefore, knowing some basic Turkish words will surely help. In case, you don’t know a single word from the Turkish language, you will still be able to manage. Given the fact that they treat guests as God and their undying spirit to never give up, they will try their level best to help you out with their broken English and some sign language and a lot of Turkish. Having the Google translate app handy will be life-saving for any traveller in Turkey. On-arrival visa is not applicable in Turkey. So, make sure you have proper documents before you fly to Turkey. 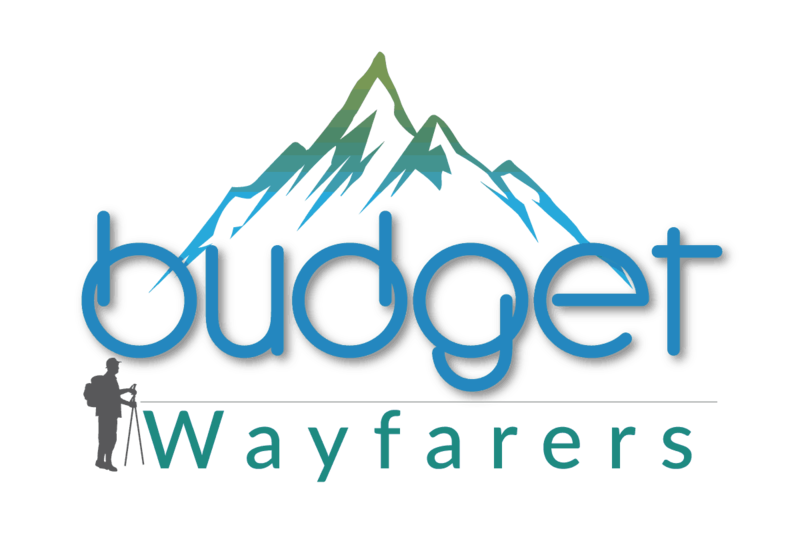 Coming to the spending aspect, here is a quick overview of your budget breakdown for backpacking in Turkey. This should amount anywhere between 300 and 500 Lira. Try saving money on extravaganzas. Staying in a hostel will cost you less (anywhere between 8 to 30 Liras). Checking in a hotel will cost you more (anywhere between 250 to 300 Liras) especially if you’re travelling solo. A budget meal can be availed for 10 Liras. Food should not be an issue in Turkey. Try paying around 10% tip if it is a lavish restaurant. At small eateries, no or a few coins will suffice. Using public transport will help you save huge bucks. If you don’t want to use it, then go for shared cabs. You can even go in for electronic wallets when it comes to using transport in cities like Istanbul. This will vary from site to site. At top sites, entry fee can be around 40 Lira while at slightly less popular sites, the cost will be around 30 Lira. Avail group tours by Viator. Money spent on shopping will depend entirely on you. Try buying just souvenirs. Save the extra money on visiting more places. Turkey is bound to leave you fascinated for weeks or probably even months. Despite all your love for the country, the sole aspect that you will be disappointed about backpacking to Turkey would be learning how to speak Turkish. So here’s a handy Turkey backpacking guide tip – to learn Turkish. This will help you under all possible circumstances that you may encounter while travelling in the country. TIP: It’s advisable to keep a small diary with important words and phrases and contact numbers of your acquaintances who speak Turkish at all times. My name is… Benim adım…. Do you speak English? İngilizce biliyor musunuz? Can you help me? Bana yardımcı olabilir misiniz? What does this mean? Bu ne demek? Could I have the bill, please? Hesap Lütfen? How much is this? Bu ne kadar? Turkey Backpacking Guide for How to Reach there ? Turkish airlines are the most convenient option that most travelers opt for while travelling to Turkey , however if you don’t mind changing flights and a few layovers , then booking a connecting flight over any direct flight would save you up to 50% of the travelling costs! “Kuwait airlines” are one of the cheapest options for those travelling to Turkey from India. Get a glimpse of Istanbul’s fascinating Imperial legacies on this half-day sightseeing tour with an expert local guide. Daily Pirate boat trip from Bodrum is a must do experience to see the coast from a different perspective. Spend an incredible 6-hour day on the Aegean Sea swimming in the crystal-clear waters, sunbathing on the boat, visiting spectacular bays and nice beaches. Get to know the city through the eyes of a passionate local. With no set itinerary, you can customize the tour or leave it up to the local for an insightful introduction to the city. Walking Tour of Ephesus and Terrace Houses from Kusadasi is one of the perfect opportunity to learn Ancient Ephesian life culture and prosperity. With its lakeside mosque and forested mountains that recall Switzerland, Uzungol (Long Lake) remains idyllic, but be prepared for more than a few tacky hotels (there are currently 1500 rooms here) and a growing number of visitors from the Gulf States, where they never see rain or green grass. A modern Turkish love story of Hayat and Murat set in an MNC in Istanbul. A story of love and lies that revolves around the life of a poor girl named Feriha who falls in love with a rich guy named Emir. A romantic teen drama revolving around the life of Yaman, a young boy who falls for Mira and faces many challenges to win her and her family. A story of a young girl named Filiz who struggles to keep her family intact despite all odds (an adaptation of “Shameless”). Maral is a young ambitious girl from a middle-class family who works in the famous department store, Luna and happens to cultivate sympathy for the young man who works on a part of sweets. Finding a budget accommodation on your backpacking trip is one of the most important aspects for any traveler. In this current Turkey backpacking guide, a list of budget accommodations across cities in turkey is being listed. What are the Top Reasons to Visit Turkey? Reasons to visit Turkey are plenty. If I were to enumerate them, the list wouldn’t end. Nonetheless here’s a list of top 10 reasons to visit Turkey for every traveller. Turkey comprises of a never-ending variety of food to savour your taste buds. This is true for both vegetarians and non-vegetarians. Shoppoholics will definitely have a phenomenal experience strolling down the numerous bazaars all over Turkey. The local markets comprise of exciting things that are offered at super affordable prices (Sometimes even at heavily discounted prices if you buy in bulk). Turkey is a paradise for tea and coffee lovers. Don’t miss out on how the Turkish coffee is made. Also, indulge in a future forecasting session with some Turks after flipping down your cup upside down. Tea is the elixir of life in Turkey. Numerous range of tea flavours is available to choose from at all stores. Apple tea is loved by tourists and makes you feel elated instantly. The smell of the Mediterranean spices will leave you spellbound. It is hard to name a spice that you won’t find here. Dear chefs, this is your place to buy those secret spices to add magic to your recipes. Ottoman spice is all the little pixie dust you need to make some delectable dishes. Turkey is a heaven for those who have a sweet tooth. Mouthwatering delicacies are available both with and without sugar or gluten that will leave you drooling even when satiated. Turkish lokum is a must try. The country has a decent range of diversity to offer and is one of the most cosmopolitan countries of the world. The legendary city of Troy and the oldest evidence of the ancient civilization is present here. Modernism and traditions coexist in Turkey. Turkey is the land where west and east merge together into one country. It has sights of sacred significance like mosques as well as chapels and churches, landscapes of breathtaking views and architecture of Asian and European tastes both at the same place. The Bosporus river tour in Istanbul is the best way to get an insight of both the Asian and European style of architecture. A beautiful way for relaxing yourself while a masseur cleans your body and massages it. Turks are some of the most hospitable people you will ever come across in the world. Gregarious and sociable people as they are, some Turkish friends is all that you need as your companions. Turkey is a perfect destination for a solo wanderer to enjoy self-indulgence and discover himself/herself on this beautiful journey of introspection and self-love. The tranquillity of the rivers, the warmth of the sun, mesmerizing sunsets in the hot air balloon rides, prayers at the mosques, the intoxicating smell of the flavoured teas and ottoman spices, Turkey will set you free in some or the other way and at the same time captivate you with its enchanting beauty. Here is the list of some Bollywood and Hollywood movies that will surely give you some serious travel goals and will lure you to visit Turkey at least once in your lifetime. Backpacking to Turkey isn’t as daunting as folks perceive it to be for all the false inhibitions associated to the country. Turkey is an extremely rich country in terms of culture and heritage along with benevolent people to aid you through all your hassles. This fascinating country awaits to welcome you at all times. Go and make it your home. THIS POST ENTITLED, “TURKEY BACKPACKING GUIDE” IS AN EXCLUSIVE PROPERTY OF BUDGET WAYFARERS. ANY INDIVIDUAL OR ASSOCIATION INDULGING IN PLAGIARISM WILL BE DEALT STRICTLY WITH. IF YOU WANT TO USE INFORMATION FROM THE ARTICLE ABOVE, KINDLY QUOTE THE SOURCE.